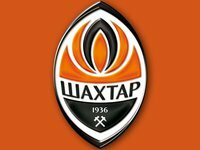 The total revenue of the Shakhtar Donetsk football club in the 2017-2018 season, including VAT, amounted to UAH 1.732 billion, the club said in its traditional annual report. The club's total income in the previous season was UAH 877 million. In particular, income from the sale and rental of football players in the 2017-2018 season amounted to UAH 108 million, which is almost twice more than in the previous season. However, the report does not reflect Brazilian Fred's transfer to Manchester United in the summer off-season, which was a record amount in the club's history. According to British media, 52 million pounds was paid for the player. Club revenues from UEFA and FIFA amounted to UAH 888 million. This is UAH 600 million more than in the 2016-2017 season. Last season, Shakhtar successfully competed in the Champions League group stage and made it to the last 16, where it lost to Italy's Roma. FC Shakhtar's revenues from commercial activities amounted to UAH 736 million. In the 2017-2018 season, Shakhtar paid UAH 504.506 million in taxes to Ukraine's state budget. Personal income tax amounted to UAH 358.85 million.